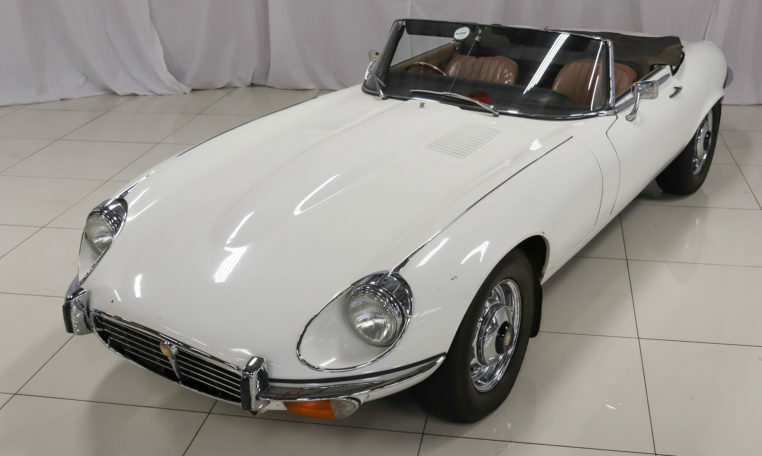 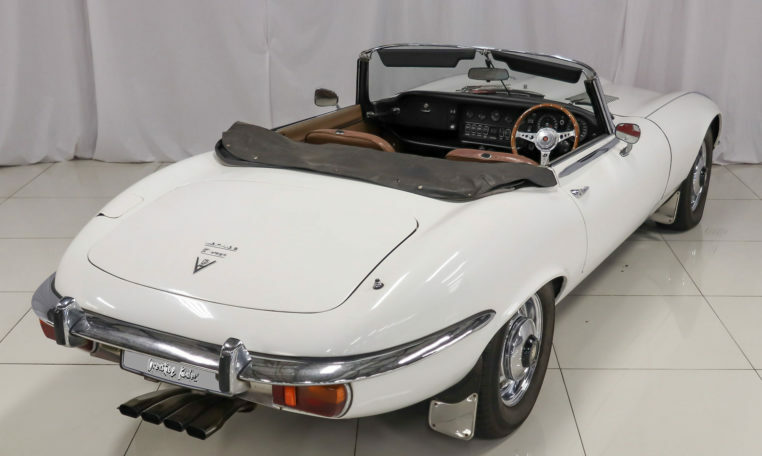 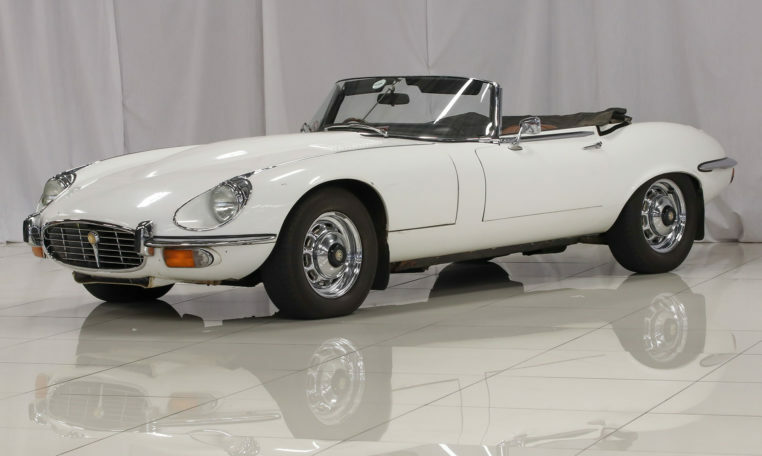 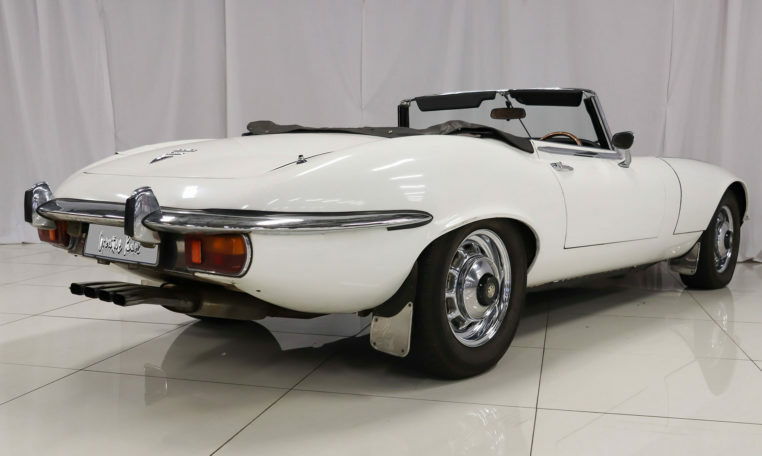 This 1971 Jaguar E-Type Series III Roadster is finished in original white paintwork & brown leather upholstery. 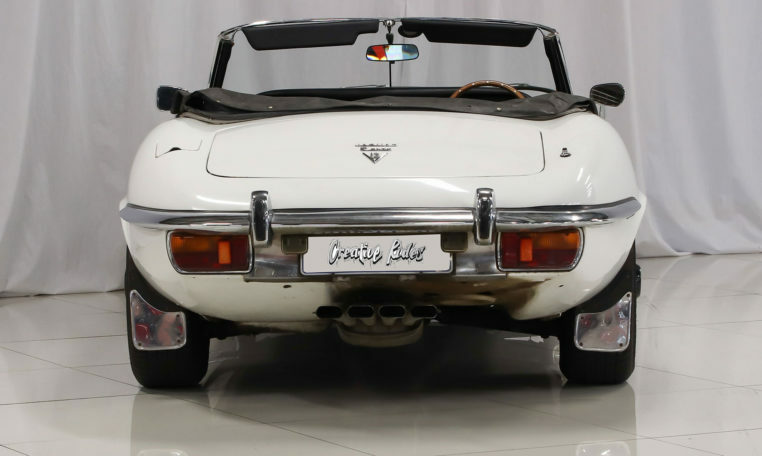 This E-Type is un-refurbished, signs of wear and tear on the body and is showing signs of a well-used interior. 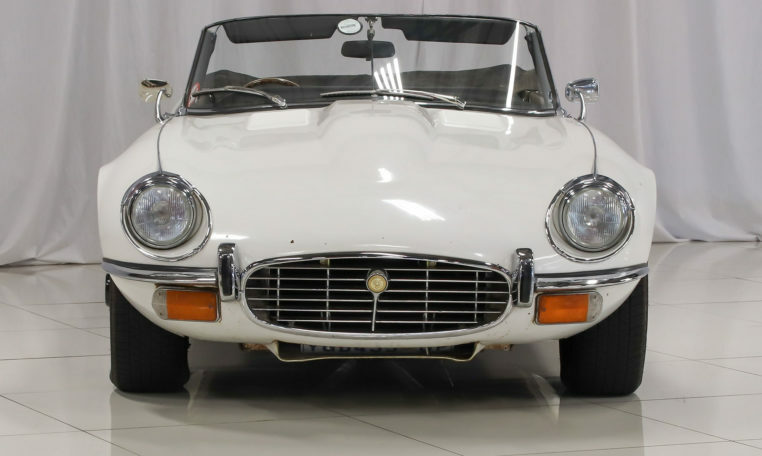 This Jaguar drives remarkably well and the manual gearbox gives it a spritely and naughty roadster feel to it. 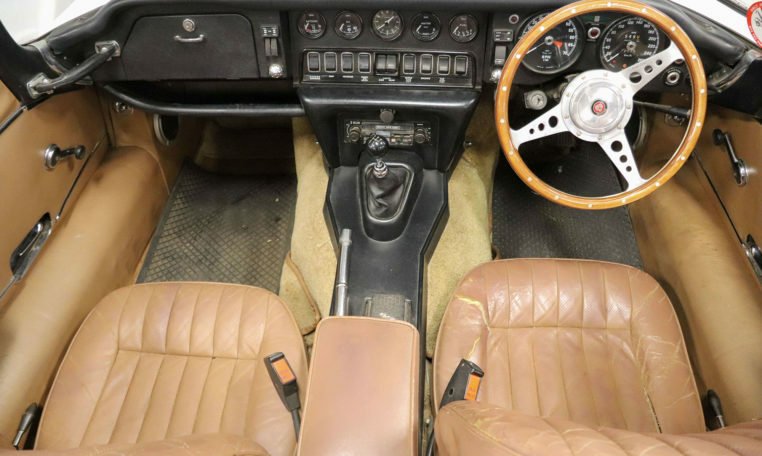 Priced at well below the market value this car is waiting for a fresh new paint job and interior re-upholster. 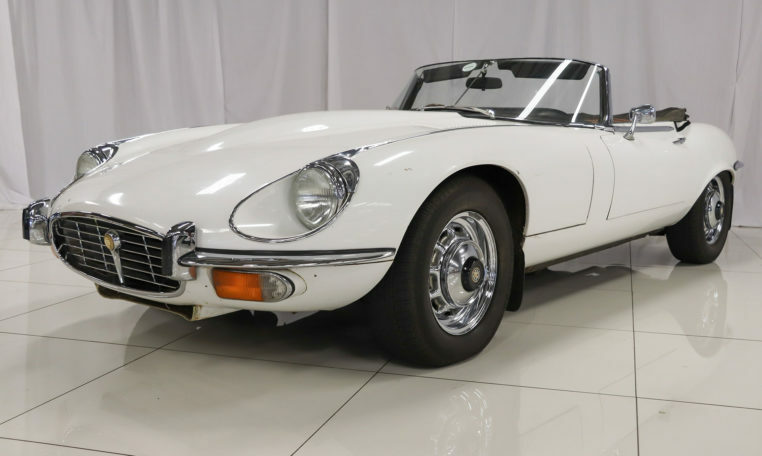 A good Jaguar E-type V12 is one of the most satisfying classic, machines you could possibly own. 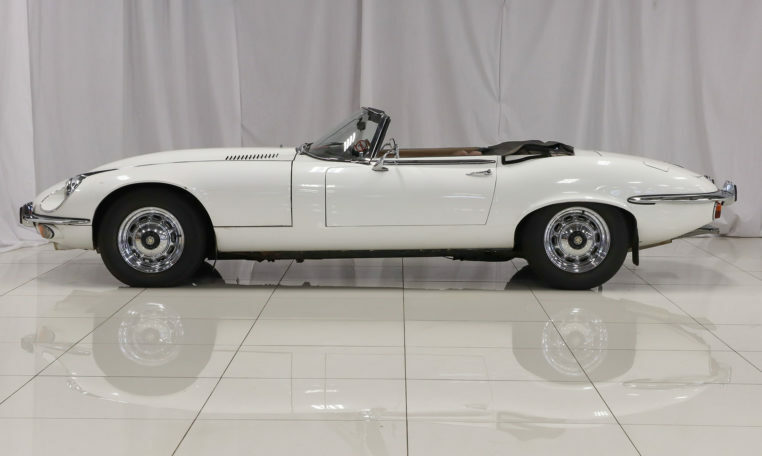 Thanks to its exquisite engine, it combines modern driving character with the E-type’s – dramatic looks. 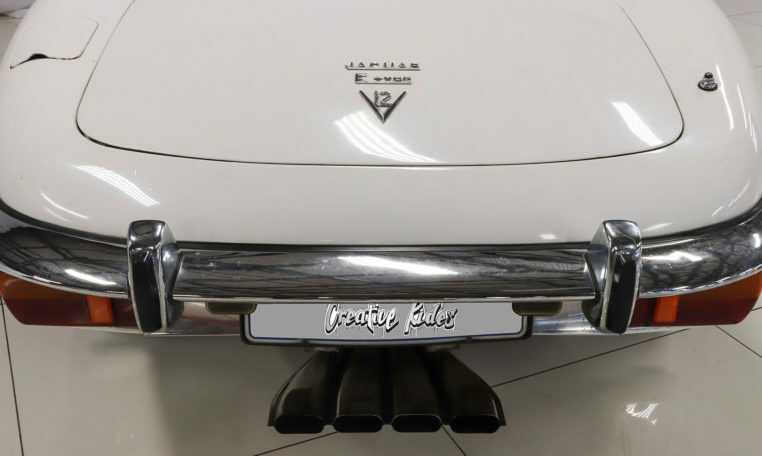 The amazing thing about the V12 is how strongly it pulls from the bottom of its range, purring while it pounces. 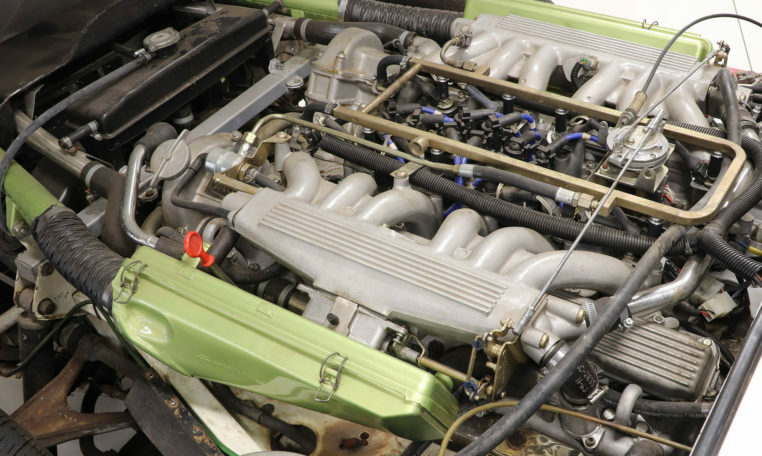 A useful bonus is that the V12 tolerates unleaded fuel without adjustment – valve seat hardness isn’t an issue.